Addresses are very easy to use and don't require any setup before use. There is no connection to your real email address. Alternate domain names are available to use when mailinator.com addresses are blocked. Mailinator provides an unlimited number of email addresses for everybody to use. You can access a Mailinator address simply by entering the username. Mailinator is useful only when you don't really want to get mail. All Mailinator mail is public; anyone can see emails that are sent there. Emails sent to Mailinator are temporary and will disappear after a few hours. Mailinator is a disposable email service that lets you use any email address you can think up under the domain @mailinator.com, and then pick up the mail at the Mailinator site. 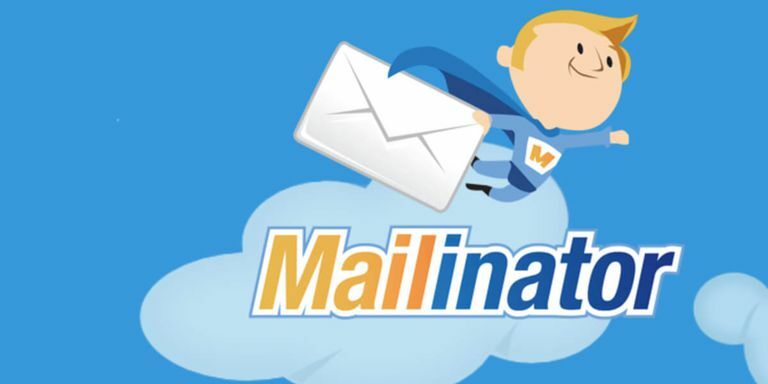 You can use your @mailinator address to sign up for websites, register software, post to message boards, or in any other situation in which you need an email address quickly but don't want to give out your real address. The advantage here is that there is no connection to your real email address, so when registration email lists get into the hands of spammers — whether accidentally, through hacking, or because a list is intentionally sold to spammers — you're protected from getting spam. The other big advantage to using Mailinator is that it involves no setup. Certainly, you can create a new email address on Gmail or Yahoo! Mail, for example, and use that when signing up on websites to avoid spam — but to do this, you do have to set them up before you start using them, and that setup requires filling out at least a bit of information. Mailinator requires no registration; just make up an alias with the @mailinator domain and use it on the spot. Getting mail that is sent to your throwaway address is easy: Log in at Mailinator with the email address. Since everybody can do this without a password, Mailinator is useful only when you don't really want to communicate. Mailinator keeps email only for a few hours before deleting it. Other disposable email services have varying durations for how long they keep email. All mail sent to Mailinator is automatically public, meaning that any message that goes there can be accessed by the general public. Sites may get wise to disposable email accounts, and many have restrictions on email addresses from these types of services. A site might decline to complete a registration that uses a disposable email account service domain it recognizes as such. Mailinator offers a range of other domains in addition to @mailinator that you can use for the same purpose, and these are far less likely to be recognized as a disposable email account. On the Mailinator front page, you can find these alternate domains displayed for use. For example, if you attempt to register on a site using an @mailinator email address and it is rejected, you can try using one of the alternate domains from the Mailinator site, such as @sendspamhere.com. It will work the same as an address with @mailinator. These alternate domains change on the front page of Mailinator. The service doesn't reveal the full list because registration sites could simply obtain that list and ban all of those domains from registration, defeating the purpose of the alternate email addresses.